A seriously painful and uncomfortable injury for cyclist is anything related to your knee. Our physio looks at possible treatment options. For cyclists, knee pain or injury could mean months off the bike. Anterior knee pain (AKP) refers to pain in the front of the knee, usually around the area of the kneecap. This is caused mainly by a patella tendon tendinopathy (we used to call it tendinitis) which is pain and dysfunction in the tendon that connects your kneecap to your lower leg, or patella femoral pain syndrome (PFPS) which is pain and dysfunction in the surfaces under your kneecap. There have been many research articles and chapters written on the subject, but the bottom line for the athlete (without getting into the nitty gritty of good quality vs bad quality studies, statistical analysis, etc., etc…) is: Will treatment work? A short while ago this very subject was raised by a patient. He wanted to know if there was a quick fix (there almost never is) for his anterior knee pain. It essentially started after a rather long event, one which he was not sufficiently fit for, and resulted in a painful, slightly swollen knee that hurt when hill climbing (even when climbing stairs). The idea of rest was not very appealing, and taping the knee provided only mild relief, not enough to train. 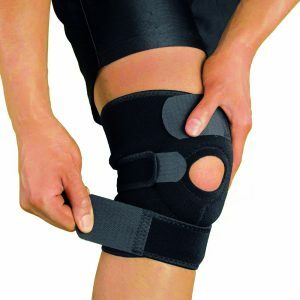 He then questioned the use of using a brace or knee strap and whether or not it would be effective in reducing pain while riding. 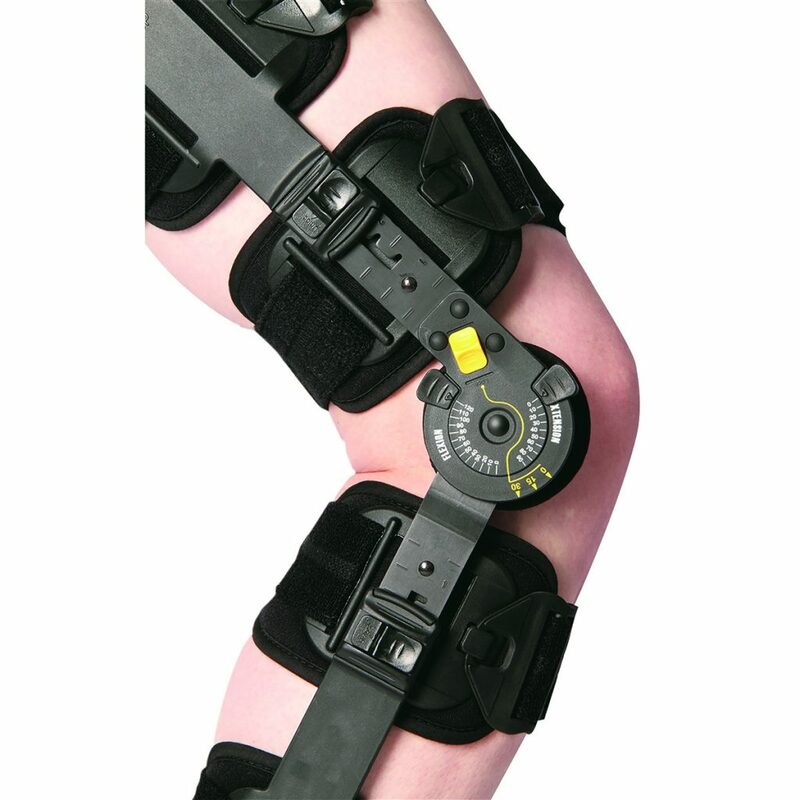 Most physiotherapists have come across a catalogue of braces and straps from various manufacturers claiming to “stabilize” the patella or “protect” the knee. Some work very well for ligament sprains, but do they work for AKP? This question led me to conduct a little research (I would love to claim that I know everything but every once in a while, most clinicians have to read up on something) on how effective braces/ straps/ sleeves and sports taping was in reducing pain and dysfunction in patients suffering from AKP. Plenty of different types of knee braces are available. There are many articles to be found about how different kinds of taping methods (older and newer) are effective in reducing pain and dysfunction, but analysing the articles a little deeper, there are a few flaws in those articles that make it difficult to draw a cause and effect relationship. The general consensus in the literature is that currently, there are insufficient good quality articles to either confirm or refute the effectiveness of strapping in reducing AKP. The most common taping/strapping methods used at the moment are McConnel strapping, kinesiotape and dynamic tape. Taping/strapping does not seem to make the condition worse, so it could be effective in selected patients. My advice with regards to taping a sore knee would be to try a few different methods and see if one works for you. On the subject of braces and straps, there are many different options out there, ranging from about R100 to close to R1 000 depending on the brand. Amazing 5-star ratings can be found on supplier websites about certain products and how effective it is. I’m not going to say the reviews are not genuine (we’ve all seen the placebo effect at work in a certain Leon Schuster movie with a box of smarties), but current research does not back up those reviews and claims. Those few great reviews and stories could just be outliers. 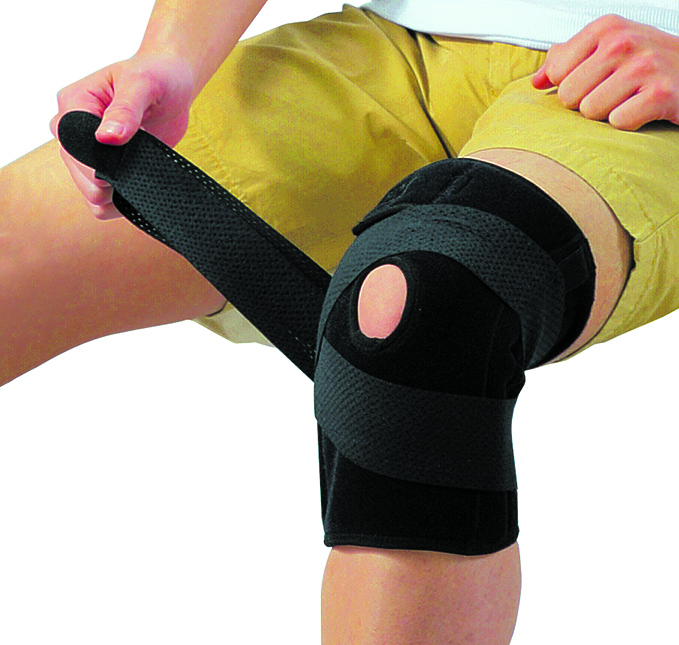 This device restricts movement when you’ve badly injured your knee.